The duration of copyright in Canada is 50 years after the death of the author. There are several exceptions to this general rule of duration in Canadian copyright law. Some of these exceptions are set out below. Unlike physical property, ownership in copyright material has a limited duration. So for example, you can own your house for an indefinite amount of time, but you can only own the intellectual property or copyright in a painting or photograph for a limited amount of time as stipulated in the Canadian Copyright Act. the life of the author, the remainder of the calendar year in which the author dies, and a period of fifty years following the end of that calendar year. This is often referred to as “life-plus-fifty.” Under this rule, an author has copyright in a work they create throughout their lifetime. Their heirs or assignees have copyright for a period of 50 years after the author’s death. The copyright will expire at the calendar year end of the fiftieth year from the death of the author. For example, if an author died on 1 June 1970, copyright in their works expires on 31 December 2020. All of that author’s works will expire at the same time unless they are subject to an exception to the general rule of copyright as discussed further below. Under Canadian copyright law, duration is determined by the life of the author, not by the life of the owner of copyright. Where an author sells their copyright and assigns the rights in their work to another person or entity, the duration of copyright is still calculated based on the life of the author. Even where works are made during the course of employment, copyright is determined based on the life of the author. For further information on Canadian Copyright law, see 8 Facts About Canadian Copyright Law. There are exceptions to the above general rule of life-plus-fifty. One exception is that Crown or government works in Canada are protected until published and for an additional fifty years from the date of publication. On 30 September 2018, Canada, the United States and Mexico completed negotiations on a new trade agreement, the United States-Mexico-Canada Agreement (USMCA) to replace the North American Free Trade Agreement (NAFTA). Note that NAFTA will continue in effect until the USMCA is ratified in each of the three countries. You can read the text of the agreement here. Under the USMCA, the minimum duration of copyright protection in the U.S., Canada and Mexico will be life-plus-seventy. For the current time, the duration of copyright protection in Canada remains life-plus-fifty. The Canadian Copyright Act specifically states that moral rights last for the same term as copyright. In Canada, moral rights protect an author’s right to have their name on their work or to remain anonymous or to use a pseudonym. Moral rights also protect against modifications to a work that are prejudicial to the honor or reputation of a creator. Further, moral rights protect against use of a work in association with a product, service, cause or institution. Moral rights endure for the life of the author plus 50 years from the calendar year end of the author’s death. This means that heirs can sue on behalf of a deceased author where it seems that a modification to a work resulted in prejudice to the author’s honor or reputation, or to protect any other of the moral rights. Note that you cannot otherwise license or assign moral rights while alive – you can only pass them to an heir upon death. The duration of copyright protection in works created during the course of employment is subject to the general rule of life-plus-fifty. Note however that the “life” is based on the life of the author, and not the life of the employer or copyright owner. Effective 23 June 2015, Canada extended the protection of copyright in specific works only — performances and sound recordings — by an additional 20 years to 70 years after the release date of the sound recording. This extension of copyright protection in Canada is only for performers (singers and musicians) and record companies (or anyone who makes sound recordings). Its purpose is to ensure that performers and record labels are fairly compensated for the use of their music for a longer period of time. The extension of the duration to 70 years also benefits Canadian artists who will now be able to collect royalties from the exploitation of their recordings in European Union countries. These countries only provide a 70-year copyright protection to nationals of countries that also provide 70 years of protection. This reciprocity will help increase royalties for artists. For more about the finer details of the extension of copyright in sound recordings, see Toronto-based lawyer Bob Tarantino’s article The Complexities of Canada’s Extension of Copyright Duration for Sound Recordings. What is a Public Domain Work in Canada? As in other countries, once copyright has expired in a work, the work is said to be in the public domain. The work is no longer protected by copyright and can be used freely, without obtaining permission from or compensating the copyright owner. Works of Mozart and Shakespeare are in the public domain and can be copied freely (provided the works are not adaptations). 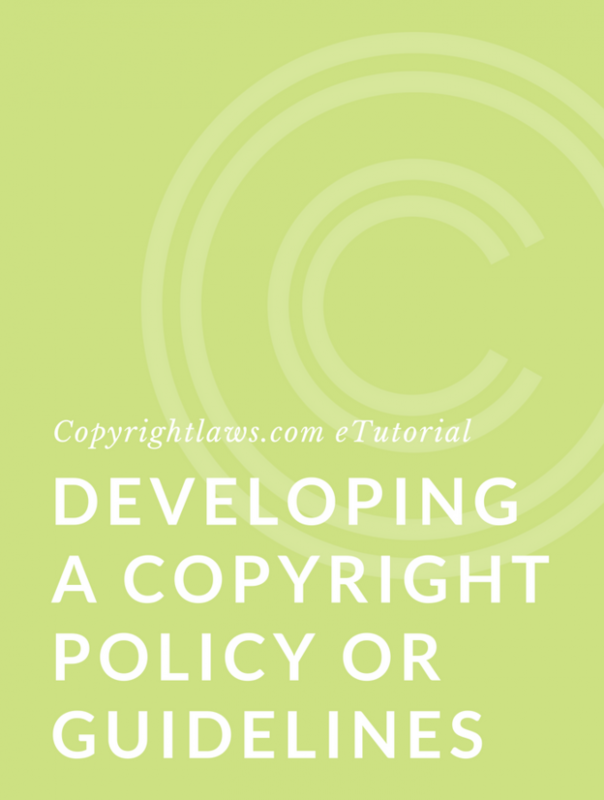 Once copyright expires, moral rights also expire, and a work may be freely adapted and used without the author’s name on it. In some countries, however, moral rights are in perpetuity and exist even after copyright in a work expires. For example, moral rights are in perpetuity in France. Can Copyright be Renewed in Canada? In Canada, the duration of copyright cannot be extended or renewed. Copyrights in Canada are protected from the moment they are created and in some fixed form and are protected for 50 years after the creator’s death. Copyright duration in the U.S., Europe and many other countries is now life of the author plus 70 years. Will Canada extend the length of copyright protection in all protected works? This is hard to predict but something we can all keep an eye out for. 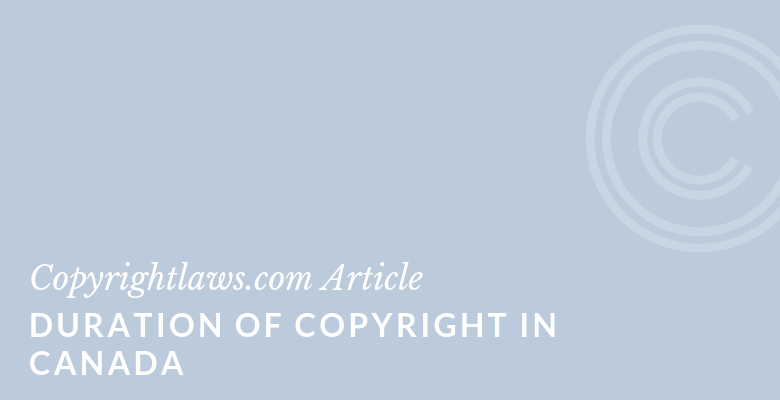 Ownership of copyright works is another important topic you may want to learn more about. See the article Who Owns Copyright in Canada. 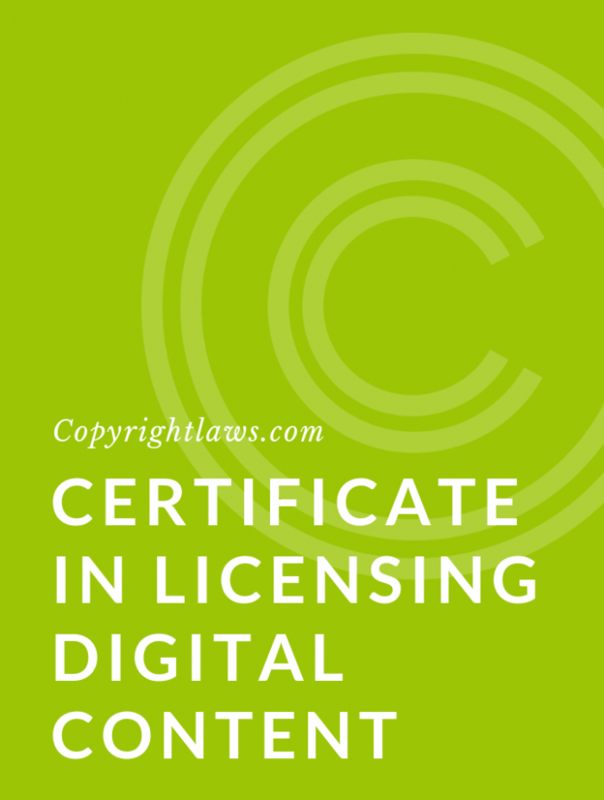 Learn more about copyright in Canada through our Canadian Copyright Law and the Certificate in Canadian Copyright Law. Want more Canadian copyright tips and information? Subscribe to our Canadian email list, featuring two mailings a month with the latest in Canadian copyright news, updates, course discounts and more.